Canadian author Kenneth Oppel has won the 2012 Hampshire Book Award with his book, Half Brother. Stephen Davies came third with Oulaw and LA Weatherly's Angel second.. Details on the reasons why this English-language bookshop is having to close, with quotes from the owner Odile Hellier. Random House Children's Books has acquired three new titles in The Edge Chronicles by authors Paul Stewart and Chris Riddell. Fiction publisher Annie Eaton and editorial director Kelly Hurst bought world rights through Philippa Milnes-Smith at LAW in the titles, for publication in 2014. Straight-to-digital stories will also be created for release during the year, and RHCP will reissue The Edge Chronicles backlist in 2013 with new covers and as e-books. Run by Scottish Book Trust in partnership with Creative Scotland, the Scottish Children's Book Awards are Scotland's largest children's book awards, recognising excellence in Scottish writing and illustration for children across three age categories: Bookbug Readers (3-7 years), Younger Readers (8-11 years) and Older Readers (12-16 years). Two fabulous ACHUKAbooks titles are available for FREE on the Kindle Store today. 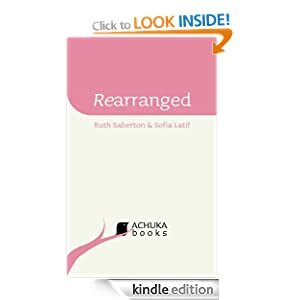 The first is our latest title, REARRANGED, by Ruth Saberton and Sofia Latif, a fast-moving and entertaining romantic comedy about a young woman who has twelve months to do what she can to avoid an arranged marriage - a highly topical read. 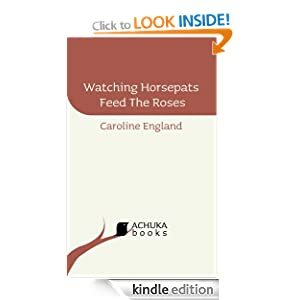 The second is the debut short story collection WATCHING HORSEPATS FEED THE ROSES by Caroline England, published earlier this year and already picking up some highly favourable reviews. We are so impressed with these stories that ACHUKAbooks will be publishing a full-length novel by Caroline England, probably early in the autumn. She really is a writer to watch, and here is your perfect opportunity to see if you agree with our estimation. We would really like to know what you think of these two titles, so if you could post an Amazon review when you have finished reading that would be great. Palacio has a great ear for dialogue, a sharp eye for detail and an instinctive sense of comedy. All this makes her an expert chronicler of ordinariness - and this, paradoxically, is what makes her story of an extraordinary boy so wonderful. The winner of the 2012 book award (announced on Wednesday) was 'Magicalamity' by Kate Saunders. The French, as usual, insist on being different. As independent bookstores crash and burn in the United States and Britain, the book market in France is doing just fine. France boasts 2,500 bookstores, and for every neighborhood bookstore that closes, another seems to open. From 2003 to 2011 book sales in France increased by 6.5 percent. Browsers at a monthly exchange in Paris where a group of retirees display books, and customers may take as many books as they want if they agree never to sell or destroy them. E-books account for only 1.8 percent of the general consumer publishing market here, compared with 6.4 percent in the United States. The French have a centuries-old reverence for the printed page. The iPad version is animated and interactive. Grover keeps begging us not to turn the page in his real whiny-gravelly voice. To help Elmo get to the end, you've got to swipe away the paper clips, glue, and alphabet blocks that Grover puts up to block each page. At first, this is delightful; when I offered the app to my 19-month-old son Khalil, he was instantly smitten. But as I watched him play with Another Monster, I began to wonder what was really going on. When a young reader engages with the Another Monster app, what is he doing? Is he reading a book? Playing a video game? Watching TV? It's hard to say. Grover and Elmo are animated television characters appearing on an iPad screen, thanks to an app that works like a game but calls itself a book. Indeed, the entire narrative is about the physicality of books; Another Monster only makes sense if young readers imagine that they're looking at a static, print-bound item that's somehow embedded within a digital experience. That's what I mean about mind-bending. With its various forms of nested media, Another Monster is like Borges for the under-5 set. Advertisement The Another Monster app is an extreme example of what I've found to be a common problem with children's books made for the iPad. They offer too many different kinds of experiences, becoming muddled in the process--and, more importantly, missing the point of children's books, which is to get kids excited about reading. The first ACHUKAbooks title for adult readers was a collection of short fiction by a new author. These cameos of quirks and cruelty will delight all those who find the short story form appealing. And for fiction so quintessentially English in atmosphere, the author's name is decidedly apt. ACHUKAbooks will be publishing a novel by Caroline England later in 2012. All three characters are equally well developed which is extraordinary. Jamie could so easily have been nothing but a foil, yet he has as valuable a role to play - it reminds me of the line from About a Boy where the boy realises that two people aren't enough in life - 'you need backup.' Each of the characters provides a 'backup' to the others at points in their joint journey. The Centre for Literacy in Primary Education (CLPE) last week announced the shortlist for the 2012 CLPE Poetry Award. Established in 2003, the annual Poetry Award encourages and celebrates outstanding new children's poetry. Fiona Waters, Editorial Director of Troubadour, The Travelling Book Company and winner of the 2008 CLPE Poetry Award for Why does my Mum always iron a crease in my jeans? The judging panel is chaired by Julia Eccleshare. The winner of the 2012 CLPE Poetry Award will be announced at a ceremony at the Centre for Literacy in Primary Education on Tuesday, July 24 2012. Tales on Moon Lane is a multi-award winning independent children's book shop in South London, led by owner, author and impressario Tamara Macfarlane. Polka Theatre's autumn and winter season brings a fresh programme of work to the south London venue dedicated to audiences ages 0 - 13 years. Starting in September, Polka will open the season looking back to the 2011 riots that swept across the UK with their new production, Sticks & Stones. Upcoming British playwright Ali Taylor has written the play using stories, opinions and words collected from children in cities that were affected by the disturbances. This explosive and thought-provoking production invites young people to discuss what they thought about the riots and what it means to be growing up in the UK today. As usual, Polka provides welcome relief during the festive season by bringing a classic story for all ages to the stage. This year, Toby Hulse's adaptation of Kenneth Grahame's The Wind in the Willows will delight ages 5 - 11 and their families. This well-known riverside tale featuring Ratty, Mole, Badger and Toad combines music, songs and the usual Polka magic. Early years audiences will be charmed by the award-winning production Too Many Penguins? which was recently voted best show for children and young people at the Critics' Awards for Theatre in Scotland (CATS). Promising early years audiences a fun theatrical experience with lots of penguins, this is the perfect winter production for 1 - 4 year olds. Visiting Adventure shows, workshops and after-school clubs will feature throughout the season. This includes Mike Kenny's Red Riding Hood for ages 4 - 7 years and Yellow Earth's celebration of Chinese New Year, Why the Lion Danced for ages 6 - 11. Free events also mark an exciting season at Polka as the theatre celebrates creativity and participation with Big Draw activities throughout October, an exhibition created by students from Wimbledon College of Art and inspired by The Wind in the Willows, as well as their usual season of free storytelling events. Polka is also delighted to hold a free craft fair on the first Sunday of each month opening up their building to locals, families and fans of all things handmade. Continue reading Polka Theatre Winter Programme. 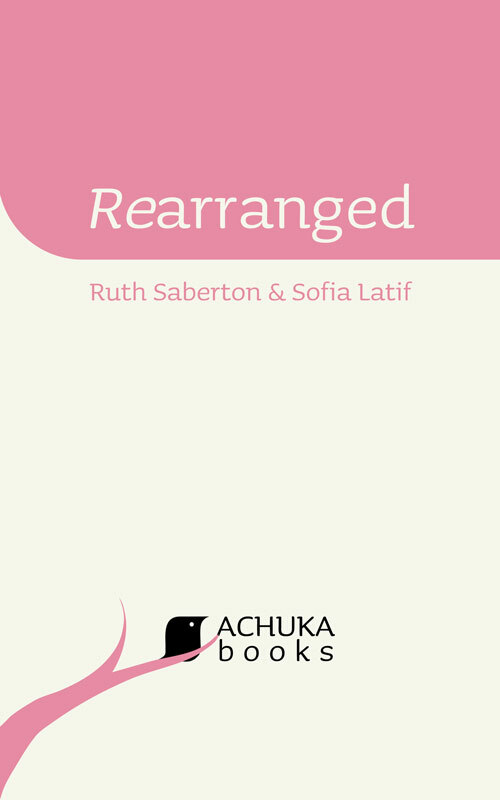 REARRANGED, a fast-paced romantic comedy about a young woman's attempt to avoid an arranged marriage, co-written by Ruth Saberton and Sofia Latif, is OUT NOW and available for 48hrs at an initial 77p/99c price. It will have been noticeable that the blog has been silenced for a few days. This was due to a combination of OFSTED and concern for my mother, who is in hospital. I haven't had a moment to read Patrick Ness's Carnegie acceptance speech (an edited version of which was published by The Guardian) until this morning. Andersen Press has announced that DRAGONSITTER, Josh Lacey's first venture into chapter books, has sold at auction in a two book deal to Sauerlaender, Germany. You'll be able to buy the full Kindle novel this Saturday. The opening weekend price will be for 2 days only, so don't miss out. If, like me, you've not been able to keep up with goings-on at the Hay Festival this year, this cumulative Telegraph blog is as good a place as any to catch up..
Janey Louise Jones has gone digital with her latests Superfairies titles, publishing them directly to the Magic Town website. In this interview for MadeForMums, she answers questions about the suitability of the digital format for young readers. ...Forcing someone to marry is to become a criminal offence in England and Wales, leaving parents who coerce their children into a marriage facing the prospect of prison, David Cameron has confirmed. On the day when the Government flags its intentions of bringing forward legislation to criminalise forced marriages, I'm delighted to announce that the next ACHUKAbooks title, which will be available very shortly, is Rearranged by Ruth Saberton and Sofia Latif. For one Bradford girl facing marriage to a man in Pakistan she has never met, persuading her parents to postpone the arranged wedding is her only option. "I know my dad is stubborn and won't take too kindly to his very single daughter postponing marriage yet again and moving to London, but that's what I am going to do." What ensues is a romcom rollercoaster aimed at teens and twenties, in which a serious theme is made the subject of an infectious - but at the same time thought-provoking - entertainment. Dave Watkins, Faber's Head of Editorial Text Management, writes a good blog entry explaining the enterprise. The illustration on the front of the card features Anthony Browne's well-known Willy character flying over the world surrounded by open books. The inside of the card is blank to write your own message. Cards are available in packs of 10 at £6 (including postage and packing). Malorie Blackman reads her story for teenagers The Receiving End, taken from Next, a new anthology of short stories about the afterlife, edited by Keith Gray. Malorie Blackman (@malorieblackman), alongside Jonathan (@JonathanAStroud) and Philip Ardagh (@PhilipArdagh), will be taking part in a Twitter interview at 4pm on Thursday 7 June. Ask a question and follow the interview using the hashtag #nextgdn. The seventh book by Jeff Kinney in the bestselling Wimpy Kid series will be called Diary of a Wimpy Kid: The Third Wheel, and will have a chocolate brown cover. The title will be published on 14th November, with Puffin reporting UK sales of the series so far as close to four million copies. Puffin said it will invest in "its most ambitious, far-reaching marketing and PR campaign to date", with the author to tour the UK at the end of November. It is also anticipating "its largest ever first print run" for the title.